Learning through play is so important, because that’s how they build up their listening, observation skills, memory and motor skills. Henry learns through play at school and it has benefited him so much he is speaking a lot more, picking up new words and skills such as he couldn’t open any packaging now he can and its through play he has done that. Here is a video which talks more about learning through play. There are so many skills you can teach a child through play, such as cleaning, dancing and walking. At Henry’s school they use visual cards to let Henry know what other items he can play with next, or what the next activity is going to be. During half term you can still learn through play by taking them to softplay, bowling, to zoo where there is also a playground, to some gardens like Kew Gardens for example and have a great day out. Getting a child to school can be tricky, getting my son ready for school can take its time as my son, if he could walk out the house naked or in his Pajamas he would. I do things gradually so we gradually have Henry eat his breakfast and then at 8 minutes passed seven each morning that’s when we get Henry dressed ready for school. We have started to get him to do it himself, so putting on his pants, trousers and shirt. I will admit some mornings I do have to wrestle with him to get him dressed. So not always easy. Once my son is dressed I then I find everything else just fits into place. Getting into a routine is helpful, for both you as the parent and for the child so they know at this time of the day, this when we get dressed, put our shoes on, brush our teeth and one last trip to the toilet, as my fear is getting caught short, and Henry needing a toilet stop on the way to school. Once we are out of the house it takes a long time to get to school, because my son wants to look and watch everything going passed, the birds, the buses, the squirrels, cars and other children going to school, so I make sure I leave with plenty of time. The worst thing I hate the most is rushing, and if I can avoid it I will do. If they do have a melt down on the way then stop, get down to their level and explain that it is OK, and try and take their mind off of it, by looking at the nature or things around them. Keep letting them know how far away they are and that they doing really well in walking, and don’t worry if they have a meltdown as these will pass. Children are just like us we get anxious over new experiences and changes, and children aren’t any different. As they start feeling their emotions they become more aware of what is happening around them. I get anxious but I try to hide it, as I don’t want my fears to effect Henry in anyway and be afraid to go to school. Yes it is true, and I do feel mortified that my son swore apparently during assembly, in front of the whole school. How do you stop your child from swearing? This is a tough question, because my son being 5 years old now still doesn’t get that those words mean. He says them in the right context though, so we teach him to replace the words, with shoot or instead of Bloody, “oh my goodness”. He began swearing back when he was at nursery and he had nipped it in the bud, but it seemed he had started again. Both my husband and I are aware we have to watch our own language in case our son repeats them. A lot of it, is to do with attention and seeing what reaction he is going to get, so I try to ignore or replace the words so he knows what words are OK and which aren’t. I have now band the F word from my lips, and have tried to get my husband to do the same, even though it still comes out whilst my husband is driving so I do have to keep reminding him that the F word shouldn’t be used, or I say “Stop swearing”. It can be tricky but try not to bring too much attention to it, as if they see they get a reaction they will continue, well my son does, so we have to try and make him see that this word is fine, but we don’t say that word, as its a bad word. There hasn’t been any more reports of him swearing which I am relieved for, I hope I am not tempting fate, but so far he has stopped. Here is a video by Pappa Stig of how he stopped his son from swearing. So if you have any dilemmas such as your child swearing get in touch. I feel as a fellow parent we should support each other the best we can. As we are now coming into November, this is the time you should be looking at visiting schools and applying for your school of choice, before January 2019 for your child depending on their birth date. This was my husband and I last year, and thankfully we go out second choice. You want to visit during school hours if possible as you can see by the children’s expression and body language if they enjoy their school or not and can usually pick up a good or bad vibe. You wanna go by the way the school has presented itself and what their Ofsted report is like. Luckily both of the schools we wanted for our son were both Outstanding, which I appreciate not everyone is that lucky, but nevertheless it is good to check out the Ofsted report, and if the school will get the best out of your child. I know in the UK it all comes down to distance and if you live in the catchment area, but like my nieces they go to go a school further from their home because ones in their area to where they lived were really bad, and didn’t have good reputation at all. Consider whether or not they Will be able to give your child the care and attention they need. I knew for Henry our son, he would need one to one support as he has slight development delay, and so it was important that the school could provide that for us. How will they introduce your child to school? Do they do home visits? Going to school for any child can be daunting so you want to lower the stress of school as much as possible and have them look forward to it, rather than dreading it. To find the schools in your area check out your local authority and how you can apply and what date you need to apply by. Hi there, thank you for viewing my blog, here I share my experience of being parent for the first time, and I have written two books related to The Parenting Adventures aswell. The Parenting Adventures Pregnancy to the first nine months and The Parenting Adventure, Baby to Toddler years. Available from Amazon in paperback and kindle. Please comment below of what other topics or experience I have that you wish for me to share being a first time mum. Parenting isn’t easy, but you learn as your child develops learns. There is no one way to parent, but be true yourself and what will benefit you and your child. Hi please check out my new video showing, what I pack for my son for nursery. He has now started school, but thought I would show what I packed for him, for when he went to nursery. I will also do one soon for what I pack for him for school, and what he takes. I like these types of videos seeing what other parents pack for their children and I will be doing a video of what I pack in my son’s changing bag, too. Taking my son to school I have become continuously anxious, and it is the lead up to it that I continuously play in my mind, the getting the uniform on, as at times my son refuses to get dressed, giving him medicine as he has a cough and cold, brushing his teeth and getting his backpack on, remembering his bottle of water, his book bag and today I had to take in his temporary PE kit. I don’t know what it is I am expecting but just getting him into the school yard just takes up so much energy because I get so anxious about it, and next week it is going to build up even more as I start a new job. YIKES! He is fine going to school, he got a bit upset on the second day, but so far he is going in no fuss. Its just me who gets so worked up over the walk to school and back, that once I drop him off the feeling of relief is out of this world. 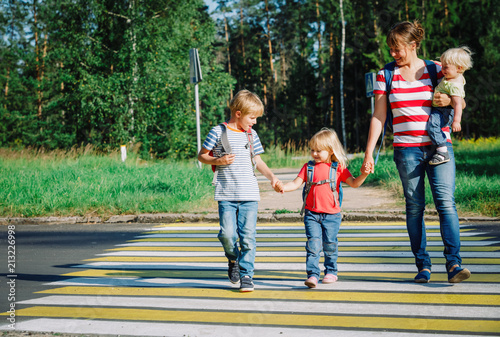 Am I the only one who feels so anxious getting their child to school? I see other parents rushing to get their children in school and I think, do they do the same? Do they get anxious? I have spoken to a few other mums and said hello, but not had a full blown conversation. I will admit I find it hard to get into conversations with strangers and people I haven’t gotten to know. I just wished I didn’t get so anxious when it comes to taking my son to school. I know as I keep on taking him to school it will become less stressful. Well I hope so. Please tell me does it get easier? Then it is keeping up to date with the regular school letters, filling in his school diary, making sure he reads three times a week, and then there will be home work. School is a whole new experience, different to nursery, as he has to go to school there is no exception for lateness, and it’s whole new transition that is quite overwhelming in parts. However he is there now doing his first full day so we will see how he got on when I pick him up later. I hope you enjoy watching this video and if you would like to see more than do let me know in the comments section below. Check out these videos below of some Lazy mum hacks by Myka Stauffer. So let me know if you used some of these hacks and if they worked for you. Let me know if you too have some lazy mum hacks I would love to hear from you.